I made the fatal mistake of telling my co-workers how I liked to bake and decorate cupcakes while working at my old job. What I always seem to forget is that I like to decorate cupcakes, until I’m in the actual decorating process, in which I start cursing the world. 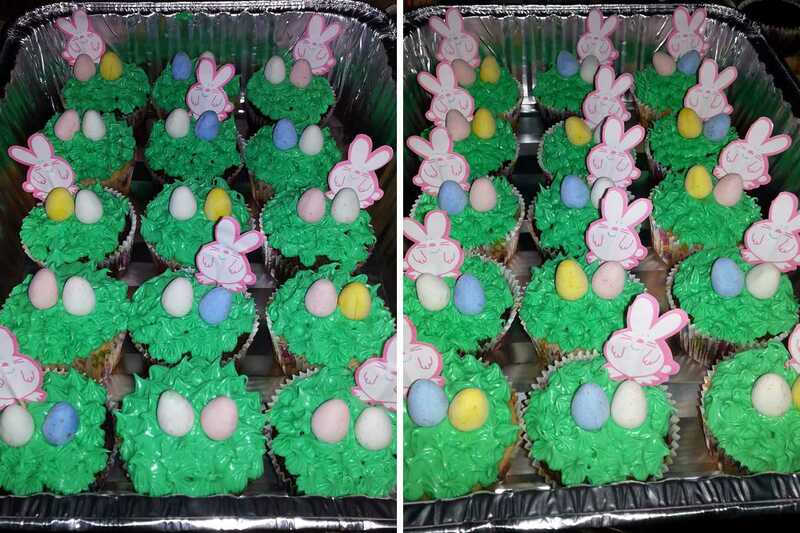 My office manager finally called me out and demanded I make Easter cupcakes this year for the office. Like any other amateur baker, I hit the internet to look for some inspiration and usually I find a lot of ideas. However, Easter-wise – I was on my own. There weren’t many ideas I could come up with on the budget I was working with. Could I make cute bunnies or chicks out of fondant? Yeah. Did I want to buy fondant for a one day event? Absolutely Not. I figured I would just wing it, and these were my results! I recently moved and in no way am I organized yet. I decided I would gather supplies at my mom’s house and I found these cute bunny toothpicks. That was all I needed for the rest of the ideas to come. 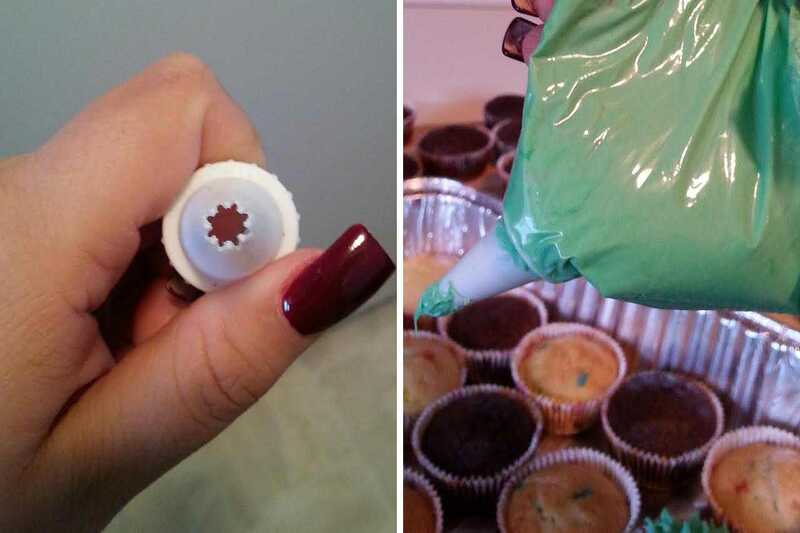 While my cupcakes were baking in the oven, I grabbed a 4B icing tip (although a 233 could have worked better) and made my own piping bag by simply snipping a corner of a sandwich bag and sliding the tip through the inside. Throw your icing in the bag and you’re set! This is really easy to do if you don’t want to go out and buy piping bags, although they’re easier to work with. 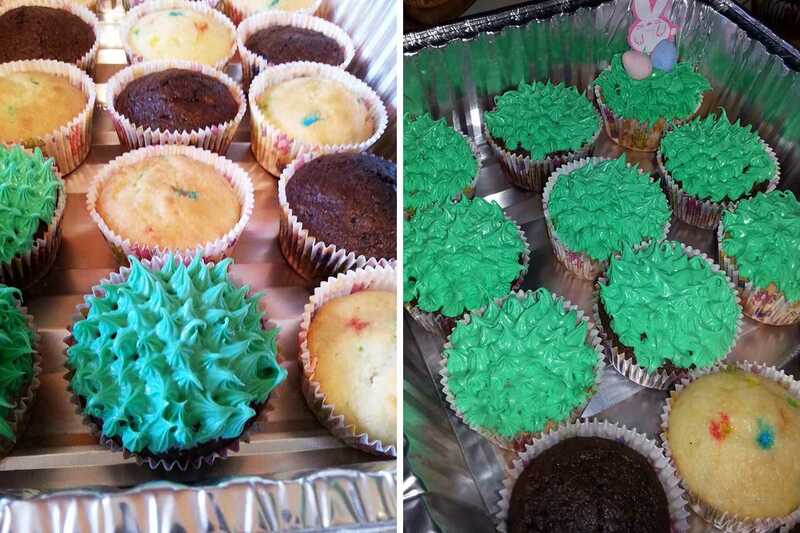 Before I threw the icing in the bag I had mixed the green food color into my vanilla icing to get a nice grassy color. You can add as many drops as you feel necessary, but I suggest starting with a low number as it is always easier to add color and impossible to subtract it. Once all that is finished and put together is when the fun begins. I’ve watched videos in the past and it seemed most people, no matter the design, will ice cupcakes from the outside inward as they go around. Anyone that knows me, knows I have to do things my way, so I did the exact opposite here. I started in the center in almost a stamping motion and just worked around until the top of the cupcake was covered. 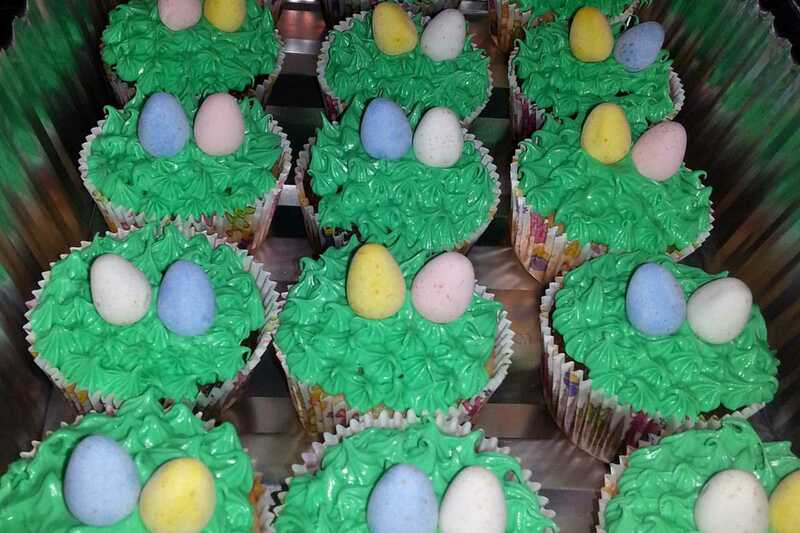 Once covered in “grass” I put two of the Mini Cadbury Eggs in the center of the cupcake, trying to not use two of the same colors for visual effect. They actually looked cute enough without the Bunny toothpicks, but I had them so I threw them behind the egg off to the side so you could clearly see both the eggs and the Bunny. Super easy to bake and decorate at such a low cost. 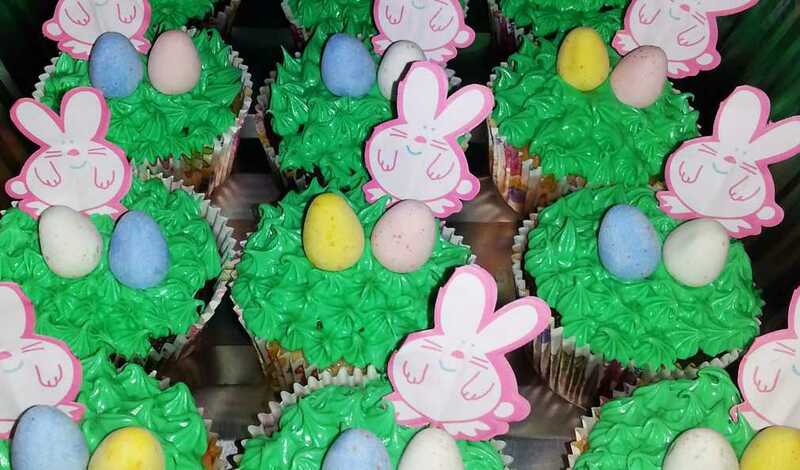 Have you made your own cute Easter cupcakes? I would love to see them in the comments below!